Anne Arundel County Police reported that four people have been arrested in an attempted copper heist in Odenton. Cops were called at around midnight when an assisted living home employee noticed two men running across the home’s property carrying cable. Police arrived as the getaway car was leaving the scene, and were able to stop the car and apprehend the two men. Cops also found another man and a woman in the car. All four thieves, who range in age from 24 to 32, were arrested after 250 feet of copper cable along with tree trimmers were found in their possession. Each member of the group has been charged with malicious destruction of property and theft. One of the crew was also charged with making a false statement to a police officer and using a fake identification to avoid prosecution. This same individual was also arrested on a probation violation. This incident was more than just a run of the mill theft gone wrong. As a direct result of the crew’s actions more than 1,700 residents temporarily lost electricity. The thieves did not actually cut through live wires, but the wires they did cut fell onto live wires, which were severed. BGE was able to restore power that same night. Metal thefts are actually quite common, and copper is one of the most popular stolen metals. 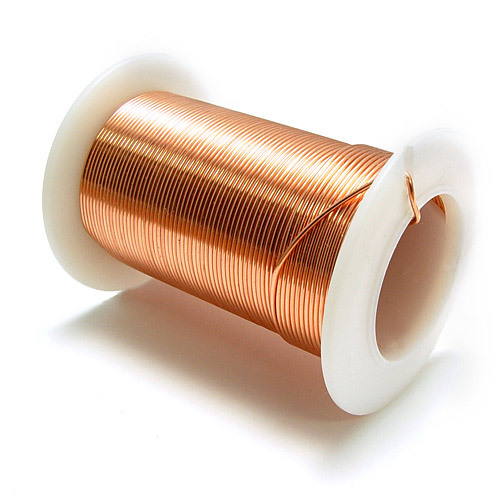 The price of copper is steadily on the rise, and scrap yards are typically willing to pay up to three dollars per foot of copper wire. Other metals such as steel and aluminum are also stolen and sold to scrap yards, but these metals are much cheaper and require large quantities to make a heist worthwhile. We have seen some of the most bizarre theft cases arise out of scrap metal sales, having once defended a case where aluminum bleachers were stolen from a public school and taken to a scrap yard. Other cases include burglaries of abandoned or even occupied houses where the burglars ripped apart the bathroom and kitchen pipes to take the copper. There are currently few laws that regulate the buying and selling of metals such as copper and aluminum. The fact is these metals are more or less fungible and there is no way to trace a stolen foot of copper wire or sheet of aluminum back to its rightful owner. It’s simply too easy to melt down these metals or scrape off engraved identification marks. In addition, pawnshops and scrap yards have no legal duty to verify that the source of the seller’s ownership is legitimate. Without stricter laws regulating the metal market thefts like this will continue. But if there ever were an incident that would motivate lawmakers to propose legislation directed at curbing the sale of stolen metal, a power outage would be one. And if it’s not a power outage then maybe it will be an electrocuted thief that generates some movement on the floor in Annapolis. The blog will follow this coming legislative session to see if there are any scrap metal regulations passed, and we will post another article if so. Benjamin Herbst is a Maryland theft lawyer who is available 24 hours a day for a free consultation. Contact Benjamin at 410-207-2598 or email him directly at benjamin@mdtriallawyer.com.